MARVEL’S AGENTS OF S.H.I.E.L.D. – ABC’s “Marvel’s Agents of S.H.I.E.L.D.” stars Ming-Na Wen as Agent Melinda May, Clark Gregg as Sarge, Natalia Cordova-Buckley as Elena “Yo-Yo” Rodriguez, Henry Simmons as Director Alphonso “Mack” MacKenzie, Chloe Bennet as Daisy Johnson, Iain De Caestecker as Agent Leo Fitz, Elizabeth Henstridge as Agent Jemma Simmons, and Jeff Ward as Deke Shaw. 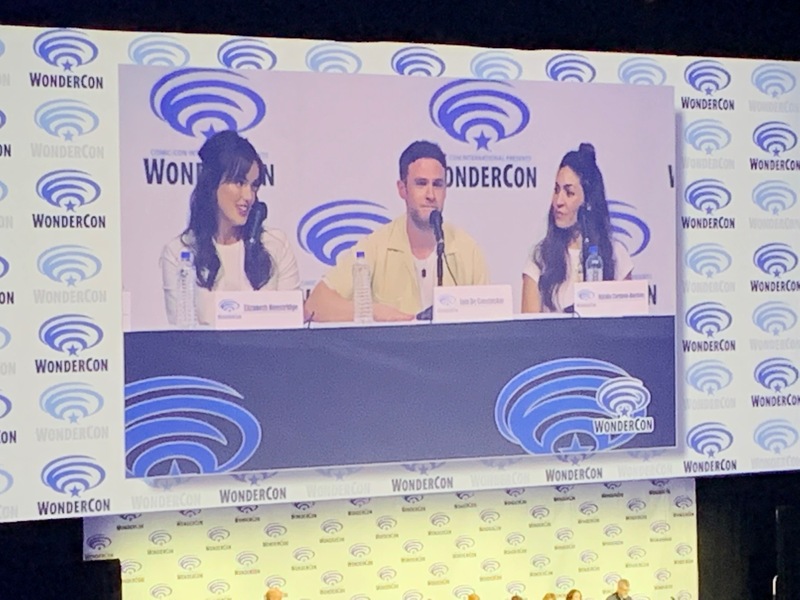 Even though the show has been on for years, Agents of SHIELD still packs the room at any Con they go to, WonderCon not excluded. This year’s panel, which was held in the Arena, was pretty much nosebleed sections only, and the lively crowd, which was amped up by the always entertaining EP Jeph Loeb, were treated to the first episode of season 6. According to Loeb, Agents of SHIELD is now the longest running show Marvel has ever done. Series star Clark Gregg directed the first episode of season 6. Gregg also has an interesting new role in the series which will be fun to watch. Fans of the Syfy series Haven will be happy to see Lucas Bryant on their screens again. When asked about fondest memories of being on set, Natalia Cordova-Buckley said she loves meeting the fans, because it’s super rare to be on a show that allows for that. Gregg was asked if his wife (Dirty Dancing star Jennifer Grey) would ever have a cameo on the show. He said it was a good idea, but not sure if it would ever happen. Characters mentioned that were really missed by the cast included Adrianne Palacki’s Bobbie, B.J. Britt’s Trip, Ruth Negga’s Girl in the Flower Dress, aka Raina, and the late Bill Paxton’s John Garrett. It looks like this new season of SHIELD is going to be a wild ride, so make sure to tune in on May 10 on ABC.